If we simply told you that the below video encompasses burnouts galore featuring muscle cars from today and the 1970s with force-fed LS V8 motors and over 1,000 horsepower under the hood, chances are you would most likely think that it involves a Chevrolet or two, while taking place on an abandoned air field somewhere in Texas, right? Wrong. The LS-powered tire smoke machines are actually Holden products, and the location is none other than Australia, which goes to show America could learn a thing or two when it comes to hooning (a borrowed Australian slang word) in muscle cars. 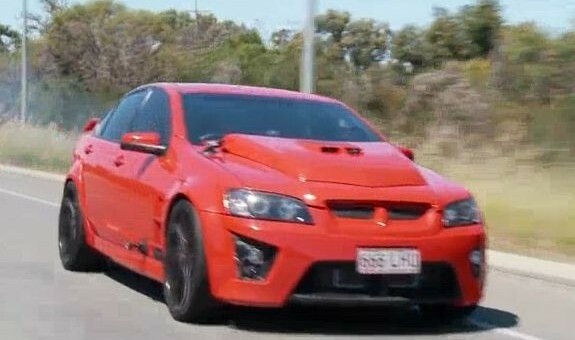 All we need to do is watch Hot Rod Magazine’s 27-minute long Roadkill episode — which showcases an HSV Clubsport R8 with a 727 cubic-inch (!!) engine. What more do you need? At this point, asking for sense is too much. look at those smokes damn!! Australia, the last stronghold for old fashioned, buck wild, V8 fun!